I wear a size 12W in women’s. Anyone that wears this size would understand the frustration behind trying to get beautiful shoes for work and outings. 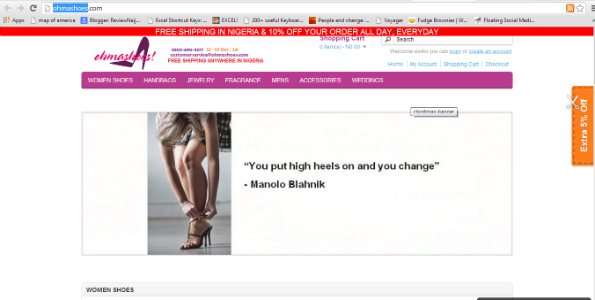 This is the only site I am able to get my size in gorgeous shoes and they ship to me in Port Harcourt (PH) for free. They also have this rewarding point system where you get 10% off every time you shop. I give them 2 thumbs up. The owners really put thought into the site and their customer service is superb; always accessible.